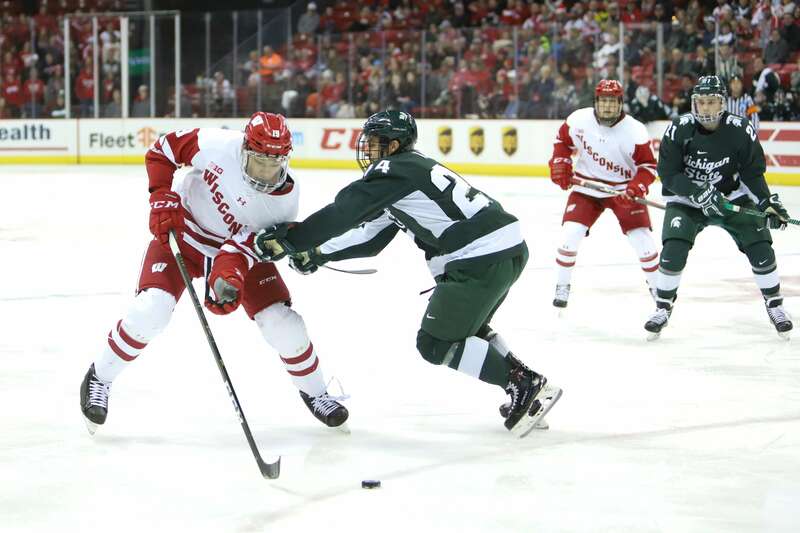 The University of Wisconsin men’s hockey team (9-12-5, 5-6-5-2 Big Ten) had a subpar outing this weekend in East Lansing, Michigan, as they earned just two points in a two-game series with the Michigan State Spartans (10-13-5, 6-8-4-2). The Badgers lost 4–1 in the first game Friday, but came back Saturday with a 2–2 tie before earning an extra point from a shootout victory. In Friday’s game, the Badgers struggled early and trailed 3–0 after 40 minutes of play. 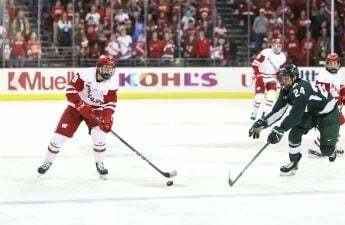 Michigan State’s Patrick Khodorenko put the Badgers down 1–0 late in the first period. Khodorenko found the back of the net again in the second period to give the Spartans a 2–0 lead. Mitch Lewandowski scored a power-play goal just four minutes after Khodorenko’s second goal to put the Spartans up 3–0. Wisconsin forward Ty Emberson was able to keep the game in range with a goal nearing the end of the second period, but Michigan State star Taro Hirose put the game away late in the third period with an empty net goal to make it 4–1. The Spartans outshot the Badgers 32-28 and the Badgers struggled to contain the Spartans first line of Hirose, Khodorenko and Lewandowski. On the contrary, the Spartans kept Wisconsin’s Sean Dhooghe off the scoresheet, limited K’Andre Miller to just one assist, and capitalized with captain Peter Tischke on the ice twice. Following the bitter loss, Wisconsin opened Saturday’s game with hunger and motivation. Will Johnson put the Badgers up early in the first period with an assist from Tischke. Hirose evened the score with a goal just 55 seconds into the second period, but Wisconsin’s Linus Weissbach answered with a goal to give the Badgers a 2–1 lead. After a Badgers penalty taken late in the second period, Lewandowski was able to cash in on a power-play goal 37 seconds into the third period. 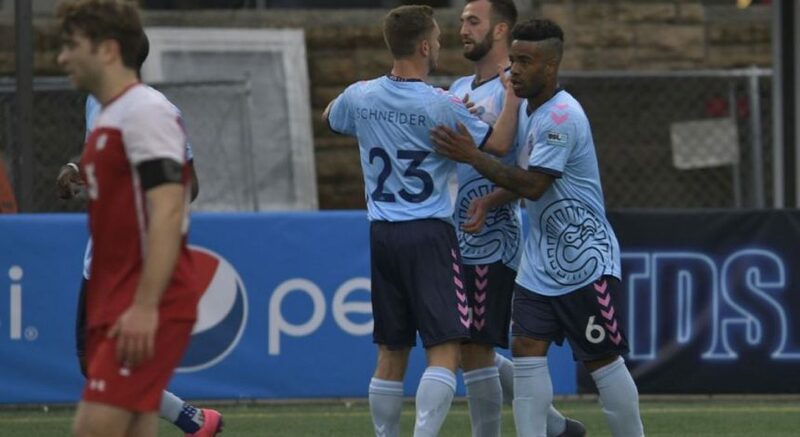 Unable to find the back of the net in overtime, the Badgers and Spartans headed for a shootout, where the Badgers came out victorious thanks to a goal from Max Zimmer. Though the Badgers struggled again to shut down Michigan State’s talented first line, they ended the weekend on a strong note, totaling a season-high 58 shots. Wisconsin goalie Jack Berry had a strong performance, stopping 31 of 33 shots. The weekend point leaders were led by the Spartans’ first line, which ended with 12 points in two games. The Badgers had a balance of scoring, as six players recorded points, including Wisconsin defensemen Miller and Emberson with two points apiece. The Badgers’ penalty-kill allowed a goal in each game, but improved immensely compared to their last few games. On the other hand, their power-play remained ineffective, an area that they must improve moving forward. Wisconsin Head Coach Tony Granato commended the Badgers for their resiliency on Saturday. Wisconsin still sits at sixth place in the Big Ten and will look to improve as they prepare for a two-game series against Ohio State at home, who currently sits atop the Big Ten Standings. Puck drops are scheduled for 7 p.m. on both Friday and Saturday and are available on Fox Sports Wisconsin Plus.